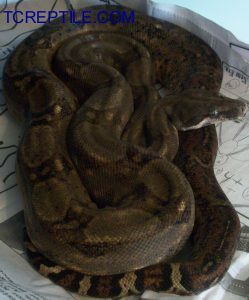 These boa come from the Corn Islands or Isle De Maize off the coast of Nicaragua. They are known for their striking red undersides and flanks. They typically have a nice olive green to tan body color as well and can range from darker and contrasting to much paler examples. 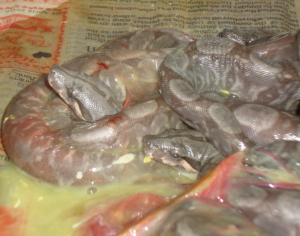 The boa colony preserved in culture typically has rather pale tail blotches with very diffused edges. 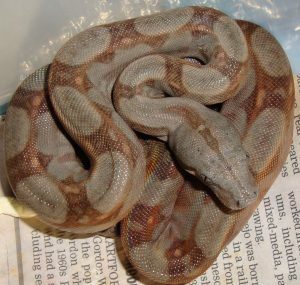 The dorsal saddles on the rest of the snake are also few in number and typically quite faded and pale in comparison to other Central American Boa whom are known for their large number of dark and often well connected dorsal saddles. 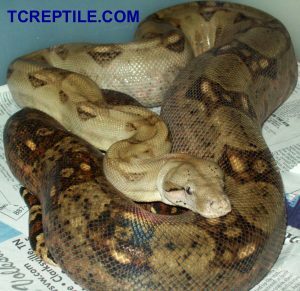 These are truly a unique race of boa constrictor from Central America. 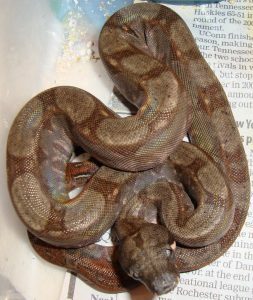 These boa are also known for their ability to change color a great deal. The change that can take place during a single day is almost shocking. I have some pictures of this impressive change below. 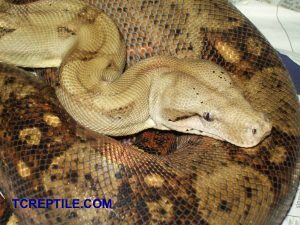 The more colorful island boa including the Hog Island Boa and Pearl Island Boa that I work with also change color in a drastic way from day to night and also when basking to digest meals. 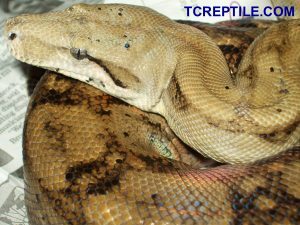 These Corn Island Boa are also considered to be true dwarf boa, routinely breeding at around four feet in length. These boa hook very poorly and seem to worm right off the hook with ease. They explore constantly when handled versus perching on your person. While reluctant to actually bite they are exciting to handle and are very outgoing. 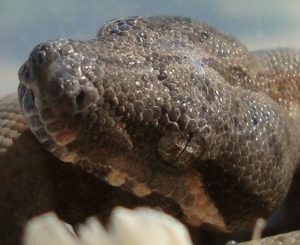 They are the kind of boa that is calm in an enclosure but the longer you have them out the more they try to “run” away from you. 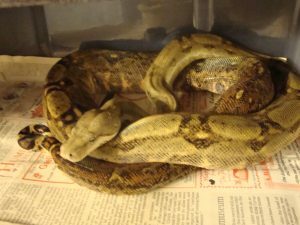 This “running” is seemingly more about wanting to investigate everything around them versus the kind of nervous “running” some boa keepers are familiar with from very nervous individuals. 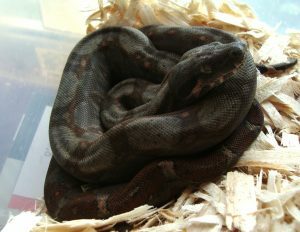 Below are some pictures of Corn Island Boa in various phases from light to dark. 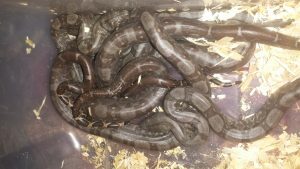 These are pure Rio Bravo Reptiles bloodline boa. The last photo in this series is of a gravid female piled up on the heat.